Supplier of optical brightener, solvent dyes, pigment red, solvent dyes etc. physical appearance raddish blue powder. heat stability 280 deg. C 10 min. pigment is suitable for the following application. printing ink, plastics, rubber, paint, textile printing, emulsion paste. textile printing. Cosmetics, dry colour. product name-pigment lake red ct.
fastness to water - good. fastness to acid - good. fastness to alkali - good. fastness to live steam -good. bleed resistance to ethanol -excellent. bleed resistance to linseed oil-excellent. c. I. Name -orange g-13. 2. Chemical Class-Mono Azo Pigment. 5. 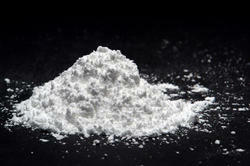 Physical Appearance- Pigment Powder. 8. Fastness to Acid -Poor. 12. Applications- Plastic. Rubber. Paper. Printing Ink (Grevere Printing, Tinplate Printing)Letter Press Printing, Offset Printing. Industrial and Decorative Paints etc. 3. Physical Appearance - Blue Powder. 3. Physical Appearance - greenish Powder. 1. 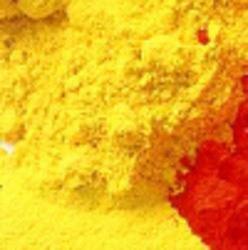 Product Name-Pigment Yellow 10G. 3. C.I.Name -Pigment Yellow 3. 9. Water Soluble -1% Max. 10. Full Shade Light-Very Good. 13. Fastness to Ethanol-Good.11. Fastness to Ethyl Acetate-Good.13. Fastness to Xylene-Negligible.13. Fastness to Methyl Ethyl Keton-Negligible. 14. Tech Characteristic Very Bright Greenish Yellow Pigment. By: Biocare Corporation Pvt. Ltd.